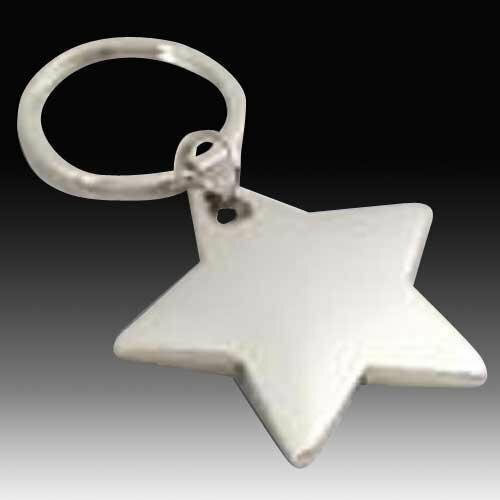 Silver plated heavy duty star key ring. Style A is with no imprint. Style B is with up to 3 lines of engraving or 3 letters of monogramming.